Although the Madison College softball team hasn’t played at home yet this season, it has already gotten in 19 games. The results from their Florida Spring Trip and the North Central Community College Conference Jamboree show that the team is going to be extremely competitive this season. Madison College is now 12-7 overall and 4-2 in conference play. They lost the first two games they played this season to conference foes Rock Valley College and College of DuPage, falling to the two in the N4C Jamboree in The Dome at the Ballpark in Rosemont, Ill.
Rock Valley, the three-time defending NJCAA Division III national champion, shutout the WolfPack, 7-0, on March 3 behind the stellar pitching of Kelsie Packard, who will be pitching for NCAAA Division I Valparaiso Univeristy. Freshman outfielder Ashley Burg had the lone hit for the WolfPack in the season-opening loss, a two-out double in the second inning. Madison College got on the scoreboard early against the College of DuPage, taking a 2-0 lead in the first inning. But the WolfPack was held scoreless the rest of the way and lost, 6-2. Brooke Heck and Ashley Kniesel both had two hits in the game for the WolfPack. From there, though, the WolfPack got on a roll, winning its next eight games, including the first four of its spring break trip. In all eight of the wins, Madison College scored at least six runs. In five of them, the WolfPack scored 10 or more runs. 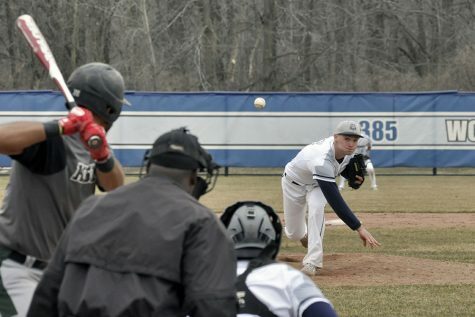 Madison College dominated conference foes, Harper College, 10-1, Joliet Junior College, 11-3, and Milwaukee Area Technical College, 13-0. But Triton College, another conference opponent, made things interesting. Madison College rallied to a 6-5 victory after surrendering a two-out grand slam in the fifth inning. Madison College scored a run on three singles in the bottom of the fifth and then added the go-ahead run in the bottom of the sixth on a double by Heck that scored Brenna Seeber. Based on the early season results, it appears Rock Valley is still the team to be in the N4C, while Madison College, DuPage and Triton all remain in the hunt. 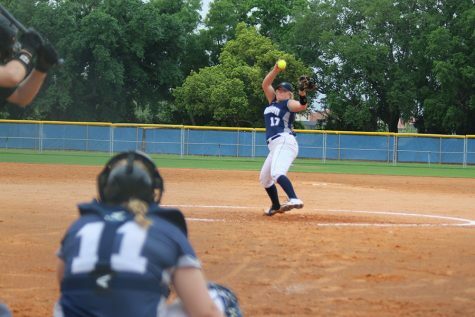 Madison College played a total of 13 games on its spring trip, winning eight of them to improve its record to 12-7. Five pitchers have seen action from the mound for the WolfPack, with Riley Landenberger and Emily Wiederholt leading the way in victories. Landenberger has a 4-0 record and a 1.35 ERA, allowing 16 hits in 20-2/3 innings pitched. Wiederholt has a 3-1 record and a 0.67 ERA, allowing 17 hits in 21 innings pitched. 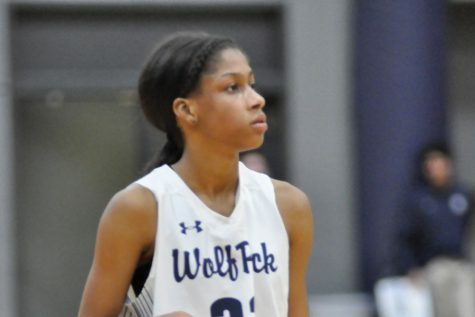 Offensively, several players have been getting the job done for the WolfPack. The team boasts a .338 batting average, with 56 extra-base hits including five home runs. Ashley Burg and Brooke Heck have the most hits on the team. Both have 21 hits in 49 at bats for a .429 batting average. Lindsey Bolling leads the team with a .529 batting average on 9 hits in 17 at bats. Madison College will resume play on March 24 with a doubleheader at Illinois Valley Community College, followed by a March 25 doubleheader at Black Hawk College in Moline, Ill. The team’s home opener will be on Thursday, March 30, against Milwaukee Area Technical College at the new Irwin A. & Robert D. Goodman Sports Complex. Games are scheduled to begin at 3 p.m. and 5 p.m.